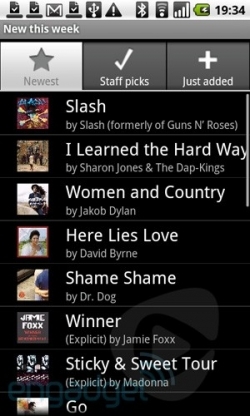 Rhapsody for Android Released | Android Blast! A public version of Rhapsody for Android has launched. It's technically a beta product, but now you can get your music on your Android device. You can do a 7-day trial and then pay $10 per month for all you can download music. Rhapsody recently dropped their price from $14 down to $10 for unlimited listening. PC Magazine recently gave Rhapsody for Android the Editor’s Choice award, saying "Rhapsody is the best streaming music service for Android."